WASHINGTON — When the U.S. Air Force canceled the procurement of a new electronic warfare system for its F-15C models, it failed to notify a key Defense Department oversight organization, the Defense Department’s inspector general found in a report. 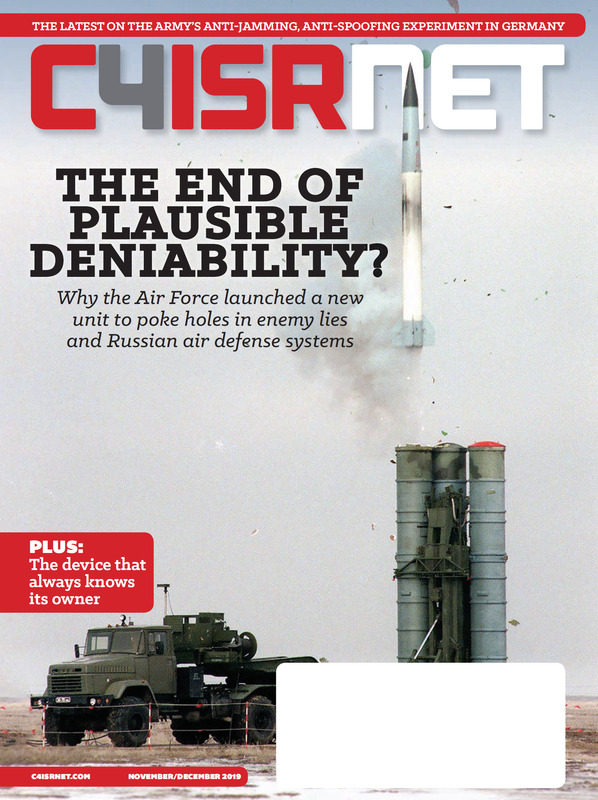 The IG report — which was declassified and released on May 21 — concerns the F-15’s Eagle Passive/Active Warning and Survivability System, or EPAWSS, a new electronic warfare suite meant to enhance the service’s legacy air superiority jet with a greater ability to protect itself in contested environments. The Air Force initially planned to install EPAWSS on 196 F-15C and 217 F-15E aircraft, but cut all 196 EPAWSS units meant for the C models in its FY18 budget request. The Air Force on Thursday awarded Boeing a $478 million contract for the EMD stage of the Eagle Passive/Active Warning and Survivability System (EPAWSS) program. That decision represents a 47 percent decrease in production capacity, the IG noted. It also suggests that Air Force leadership could still be moving forward to retire its F-15C/D inventory in the near term — an option officials told Congress in March 2017 is within the realm of possibility. Normally, when a service drastically reduces procurement of a major program, it must revalidate its new strategy with the Joint Requirements Oversight Council. However, because the Air Force did not do that after cutting EPAWSS, it’s uncertain whether F-15Cs will be able to accomplish its core missions in the future, the IG report said. 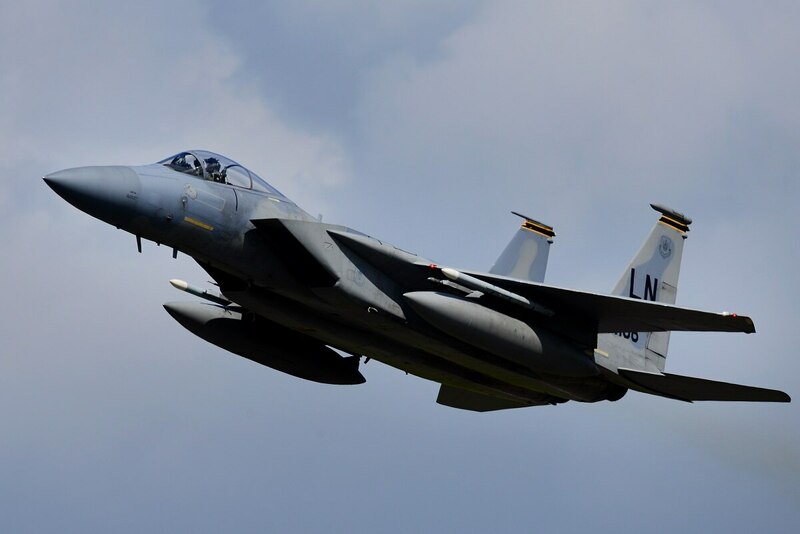 “Using the F-15C aircraft without EPAWSS will limit the warfighter’s ability to detect and identify air and ground threats, employ counter-measures, and jam enemy radar signals,” it said. EPAWSS will be manufactured by F-15 prime contractor Boeing, with BAE Systems also charged with designing and developing the system. Boeing received a $478 million contract in 2016 for the engineering and manufacturing development phase of the program, and in 2017 completed EPAWSS’ critical design review. In August 2019, the company is set to begin installing EPAWSS on F-15 jets. According to the report, the Air Force’s director of staff for its strategic plans and programs division stated that program officials will revalidate the lower EPAWSS production quantities with the JROC in 2019, before it hits Milestone C.
Once completed, the inspector general’s concerns will be satisfied, the IG office responded. What’s the future of the F-15C/D? Information about the planned retirement of the F-15C/D are among the few redacted portions of the IG report, showing the lengths that the Air Force is willing to go in order to conceal exactly when it may mothball the F-15C/D fleet or the internal guidance supporting such a decision. “In February 2017, the DCS AF/A5/8 issued the [redacted] to retire the F-15C aircraft beginning in [redacted] and fully retire the aircraft by the end of [redacted]. However, [redacted],” reads one section of the report, using an acronym that refers to part of the Air Force headquarters staff. In response to the IG’s findings, the Air Force has agreed to provide Congress with “specific plans and justifications” for phasing out the F-15C/D. According to the report, the service was expected to finalize its decision on the F-15 retirement issue as part of FY19 planning choices — which took place late last year. The Air Force has still not publicly announced when the F-15 could begin leaving its inventory. “If Congress does not approve the F-15C aircraft retirement, the director of staff stated that Air Force officials would review the requirement and restore procurement funding for sufficient EPAWSS quantities to provide increased F-15C electronic warfare capabilities, as the mission requires,” the report stated.